Милен Петров, Увод в програмирането (C/C++), Университетско издателство на СУ "Св. Климент Охридски", София, рецензирано, 184 страници. (ръководство за упражнения за спец. Софтуерно инженерство), ноември 2012г. ISBN: 978-954-07-3345-6. Tashev, T., A. Aleksieva-Petrova, M. Petrov, "Managing personal profile of university lecturers in Moodle", scientific journal "Computer & Communications Engineering", Vol. 6, No. 1/2012. (in bulgarian/in print). Petrov M., "EduPUB - architecture for publishing educational results", 9th Intl. conference on Challenges in Higher Education and Research in 21st century (CHER21'11), 5-8. June 2011, Sozopol, Bulgaria, pp.27-29. Aleksieva-Petrova A., M. Petrov, "ADOPTA Model of Learmer and Educational Game Structure", International Conference on Computer Systems and Technologies - CompSysTech’11 (CompSysTech'2011), 16-17. June 2011, Viena, Austria, ACM 2011, ISBN 978-1-4503-0917-2, pp. 636-640. Petrov M., L. Latinov, A.Aleksieva-Petrova, "Publication of web services WSDL file into UDDI registry optimization", IADIS International Conference Internet Applications and Research 2011 (IAR2011), Rome, Italy, 22 - 24 July 2011, pp.135-142. Petrov M., ЕduPUB - Architecture for Educational Publishing of Learning Achievements: mini-editor, Sixth International Conference - Computer Science'2011 , 01 -03 September 2011, Ohrid, Macedonia", ISBN: 978-954-438-914-7, pp.331-335. Aleksieva-Petrova, A., M. Petrov, B. Bontchev, "Game and Learmer Ontology Model", Sixth International Conference - Computer Science'2011 , 01 -03 September 2011, Ohrid, Macedonia", ISBN: 978-954-438-914-7, pp.392-396. Aleksieva-Petrova A., M. Petrov, "Assessment results packaging as learning content", Proceedings of 11th International conference UNITECH'2011, 18-19 November, 2011, Gabrovo, Bulgaria, Vol.III, pp.III.331-III.335. Aleksieva-Petrova A., M. Petrov, "MAPPING GAMES AND GAMING STYLE WITH LEARNING GOALS AND STYLE", International Conference on Technology-Enhanced Learning (ICTEL 2010), 29-31 July, Athens, Greece, 2010, SciTePress – Science and Technology Publications, ISBN: 978-989-8425-15-7, pp.169-172. Petrov M., A. Aleksieva-Petrova, "Framework for Mapping Learner and Gamer", International Scientific Conference on Information, Communication and Energy Systems and Technologies (ICEST 2010), Conference, 23-26 June, Ohrid, Macedonia, 2010, printed Bitola 2010, ISBN: 978‐9989‐786‐58‐7, Volume 2, pp.927-930. Petrov M., "Learmer activities categorization in edutainment environment", VIIIth Conference on "Challenges in Higher Education and Research in 21st Century", 02-05 june, Sozopol 2010, Bulgaria, ISBN:978-954-580-282-9, vol.8, Heron Press, pp.36-38. Nakov O., P.Borovska, A.Aleksieva-Petrova, M.Petrov, "Resource Discovery Simulation in GRID", 10th Anniversary international conference UNITECH'2010, 19-20 November, 2010, Gabrovo, Bulgaria, Vol.1, pp.I.402-I.405. Petrov M., V. Vlaykov, "Software architecture components of an abstract framework for assessment in e-learning", proceedings of European Conference of Computer Science (ECCS'2010), Puerto De La Cruz, Tenerife (Spain), November 30- December 2, ISBN: 978-960-474-250-9, pp.290-294. Grigorov, A., Georgiev, A., Petrov, M., & Stefanov, K. (2009). "Digital Repository for Life-long Competence Development". Paper presented at the 'Open workshop of TENCompetence - Rethinking Learning and Employment at a Time of Economic Uncertainty-event'. November, 19-20, 2009, Manchester, UK: TENCompetence. A. Grigorov, A. Georgiev, M. Petrov, K. Stefanov, S. Varbanov, "Building a knowledge repository for life-long competence development", International Journal of Continuing Engineering Education and Life-Long Learning (IJCEELL), Vol. 19, Nos. 4/5/6, 2009, ISSN (Online): 1741-5055, ISSN (Print): 1560-4624, pp.300-312. Petrov M., "Assessment with Game Elements", Fifth International Conference, ComputerScience'2009, 05 - 06 November 2009, Sofia, Bulgaria, ISBN: 978-954-438-853-9, pp.422-425. Borovska, P., A. Aleksieva-Petrova, M. Petrov, "Create Auction Ontology for Semantic Web", Fifth International Conference - Computer Science'2009 , 05 - 06 November 2009, Sofia, Bulgaria, ISBN: 978-954-438-853-9, pp.417-421. Stefanov K. , P. Boytchev, A. Grigorov, A. Georgiev, M. Petrov, G. Gachev, and M. Peltekov, "Share.TEC System Architecture", 1st intl Conference on Software, Services and Semantic Technologies Conference (S3T 2009), Sofia, Bulgaria, on October 28-29, 2009, ISBN: 978-954-9526-62-2, pp.92-99. Stefanov K. , P. Boytchev, A. Grigorov, A. Georgiev, M. Petrov, G. Gachev, and M. Peltekov, "Share.TEC Repository System", 1st intl Conference on Services and Semantic Technologies Conference (S3T 2009), Sofia, Bulgaria, on October 28-29, 2009, ISBN: 978-954-9526-62-2, pp.84-91. Aleksieva-Petrova A., M. Petrov (2009) "Service Oriented Architecture of Assessment Model", Journal "Problems of Engineering Cybernetics and Robotics", Volume 60, Sofia, 2009, Bulgarian Academy of Sciences, ISSN 0204-9848, pp.85-91. Petrov M., A. Aleksieva-Petrova, "Software and services in technology-enhanced learning assessments:MVPss approach", 5th IADAT-e2009 Conference", 24-26 June 2009, Bilbao (Spain), ISBN: 978-84-935915-2-6, pp.33-38. (*1) Petrov M., A. Aleksieva-Petrova (2009) "Three View Model of e-Portfolio Assessment System", Journal "Problems of Engineering Cybernetics and Robotics", Volume 60, Sofia, 2009, Bulgarian Academy of Sciences, ISSN 0204-9848, pp.92-98. Grigorov A., A. Georgiev, M. Petrov, S. Varbanov, K. Stefanov, "Building a Knowledge Repository for Life-long Competence Development", 5th TenCompetence Open Workshop "Stimulating Personal Development and Knowledge Sharing", October, 30-31, 2008, Sofia, Bulgaria ISBN: 978-954-92146-5-9, pp. 21-25. (*2) Aleksieva-Petrova A., M. Petrov, "Functional and non-functional requirements for building Service-oriented assessment model", 5th TenCompetence Open Workshop "Stimulating Personal Development and Knowledge Sharing", October, 30-31, 2008, Sofia, Bulgaria, ISBN: 978-954-92146-5-9, pp. 47-51. (*3) Petrov M., Aleksieva-Petrova A., "E-portfolio assessment system architecture", 5th TenCompetence Open Workshop "Stimulating Personal Development and Knowledge Sharing", October, 30-31, 2008, Sofia, Bulgaria ISBN: 978-954-92146-5-9, pp. 52-56. (*4) Petrov, M., Aleksieva A. "Developing a Software Tools for Nontraditional Methods of Assessment", Computer Science'2008, September 18 - 19, 2008, Kavala (Greece), ISBN: 978-954-580-255-2, pp.490-495. (*5) Petrov, M., Aleksieva-Petrova, A., Stefanov, K., Schoonenboom, J., & Miao, Y. (2008). "TENCompetence Assessment Model and Related Tools for Non Traditional Methods of Assessment". In H. W. Sligte & R. Koper (Eds). Proceedings of the 4th TENCompetence Open Workshop. Empowering Learners for Lifelong Competence Development: pedagogical, organisational and technological issues April, 10-11, 2008, Madrid, Spain: SCO-Kohnstamm Instituut, Amsterdam, The Netherlands, ISBN: 978-90-6813-8474, pp. 91-96. (*6) Petrov, M., Aleksieva-Petrova, A., Stefanov, K., Schoonenboom, J., & Miao, Y. (2008). "Evaluation of TENCompetence proof of concept assessment tools". In H. W. Sligte & R. Koper (Eds.). Proceedings of the 4th TENCompetence Open Workshop. Empowering Learners for Lifelong Competence Development: pedagogical, organisational and technological issues. April, 10-11, 2008, Madrid, Spain: SCO-Kohnstamm Instituut, Amsterdam, The Netherlands, ISBN: 978-90-6813-8474, pp. 97-101. 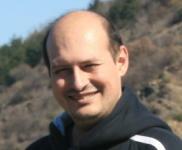 (7*) M. Petrov; "Interoperability framework for Assessment Authoring", 9th Intl. Conference, ICL2006 (Interactive Computer Aided Leaerning), IEEE Student Track, Villach (Austria), September 27-29, 2006, ISBN: 3-89958-195-4, pp.226-1-226-7. M. Petrov "EVENT-DRIVEN INTEROPERABILITY FRAMEWORK FOR INTEROPERATION IN E-LEARNING INFORMATION SYSTEMS – MONITORED REPOSITORY", IADAT-e2006, 3rd International Conference on Education, Barcelona (Spain), July 12-14, 2006, ISBN: 84-933971-9-9, pp.198 -202. Petrov M., A. Aleksieva-Petrova, B. Bontchev, "Learning Content and Interoperability" Second International Scientific", Conference "COMPUTER SCIENCE" Chalkidiki, Greece 2005 (30th September – 2nd October, 2005), Part II, pp.236 -241. Aleksieva A., M. Petrov, Mintchev A. - "Remote or close control of student's knowledge in ARCADE", December 07, 2004, First International Scientific Conference"COMPUTER SCIENCE", Sofia, pp.285-290. Petrov M., B. Bontchev. "Question and test interoperability – organization, reuse and management of assessments' contents", IADAT-e2004, International Conference on Education, Bilbao, Spain, July 7-9, 2004 (SPAIN), ISBN: 84-933971-0-5., pp.435 - 439. Petrov M., B. Bontchev, A. Aleksieva. "ARCADE Assessment Framework", 2nd Int. Conf. on Multimedia and ICTs in Education (m-ICTE2003), Badajoz, December 3-6, 2003 (SPAIN), ISBN: 84-96212-12-2, Vol. III, pp. 1960-1963. Aleksieva A., M. Petrov, B. Bontchev, , "Managing complexity of e-learning administration in ARCADE", 6th Intl Workshop ICL2003, Villach / Austria 24-26 September 2003, Kassel university press (CD-ROM edition) ISBN:3-89958-029-X. Vladinova L., M. Petrov, T. Iliev, "Assessing Students' Performance in Distance Education Courses" International Conference on Computer Systems and Technologies (CompSysTech'2003), June 19-20, 2003, Sofia, ISBN: 954-9641-33-3., pp IV.18-1, IV.18-6. Алексиева А., Петров М., "Система за дистанционно обучение АРКЕЙД на СУ "Св. Климент Охридски" – начини и области на приложение в образованието", проведена в София, 16-17 Май 2003, НДК, Научно-Практическа Конференция "Новите технологии в образованието и професионалното образование", pp.359-366, (in Bulgarian). Petrov M., "EVENT-DRIVEN INTEROPERABILITY FRAMEWORK FOR INTERPERATION IN E-LEARNING INFORMATION SYSTEMS – MONITORED REPOSITORY", IADAT JOURNAL of Advanced Technology on Education (IJAT-e), March 2007, Volume 3, Number 1, ISSN (print): , ISSN: 1885-6403, ISSN (print): 1698-1073 , pp.332-335. (8*) Petrov M., Aleksieva-Petrova A., Bontchev B., "Interoperability use cases related to reusable learning content", E+E (Elektrotechnica & Elektronica) - Monthly scientific and technical magazine, year 42. 1-2/2007, ISSN 0861-4717, pp. 48-52. Note: papers, marked from (1*) to (8*) are used in PhD Thesis.